This highlighter has been popping up all over Instagram and snapchat for the past few weeks. 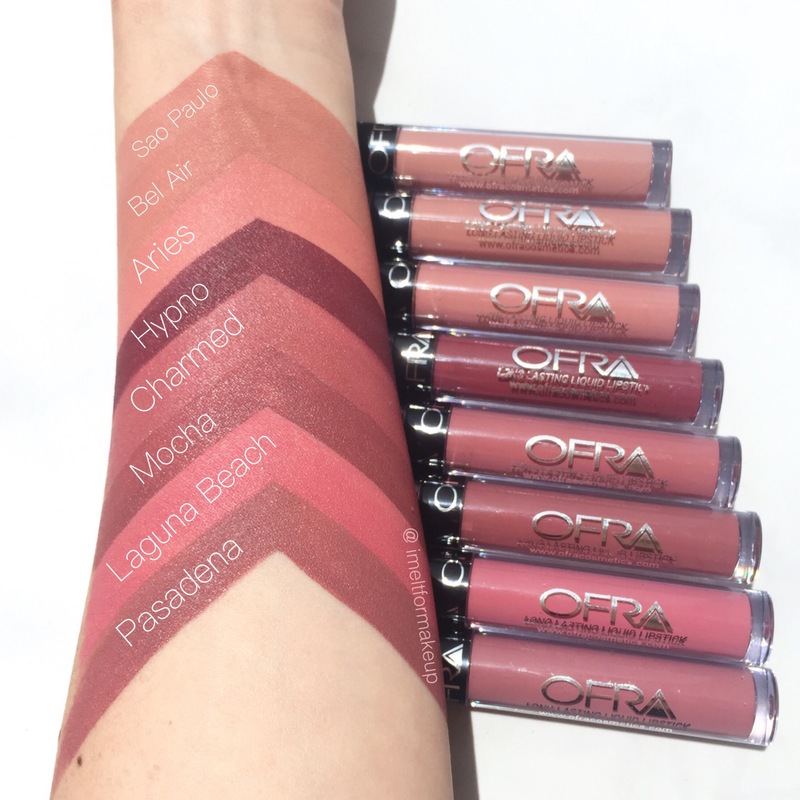 I first saw swatches on Ofra’s snapchat (ofracosmetics). 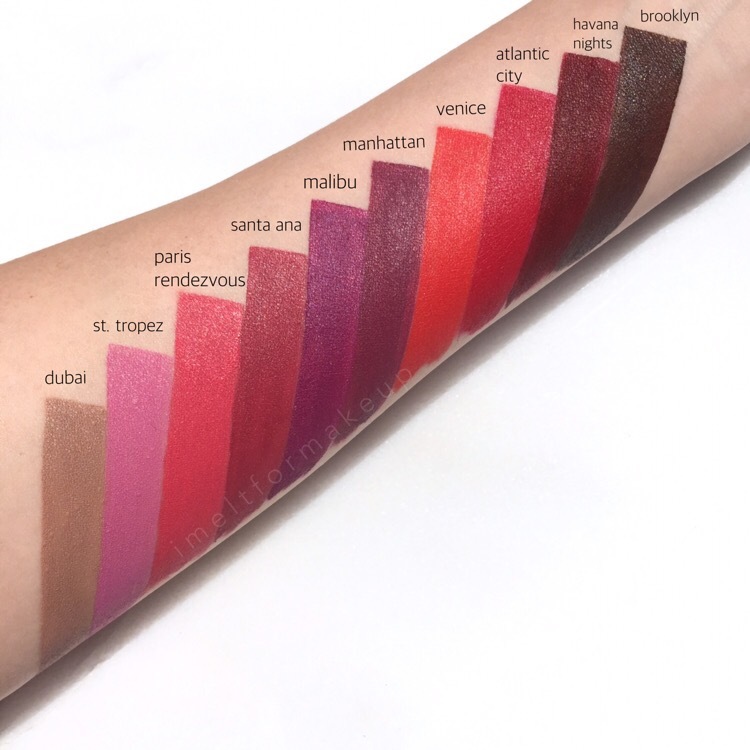 They swatched so beautifully bright and pigmented. Then I saw it on Nikkie tutorial’s snapchat and then some other instagrammer’s video posts on the explore page. I buy too much makeup especially liquid lipsticks and when it comes to makeup for my kit ( always looking for the latest and the greatest cosmetics and tools) so I tried to forgetta about it.. Then one lovely morning I got a notification of Ofra hosting a Persicope giveaway to win the Beverly Hills Highlighter..so I thought I’d give it a try, thinking I had a good chance because they were giving away 3. I typed too slow, and there were hyper huge fans of Ofra who type as fast as the speed of light and knew all the questions. So being the “poor” loser (pun intended) and makeup junkie I am, I went right to their website after their scope and bought the little b. hills highlighter. 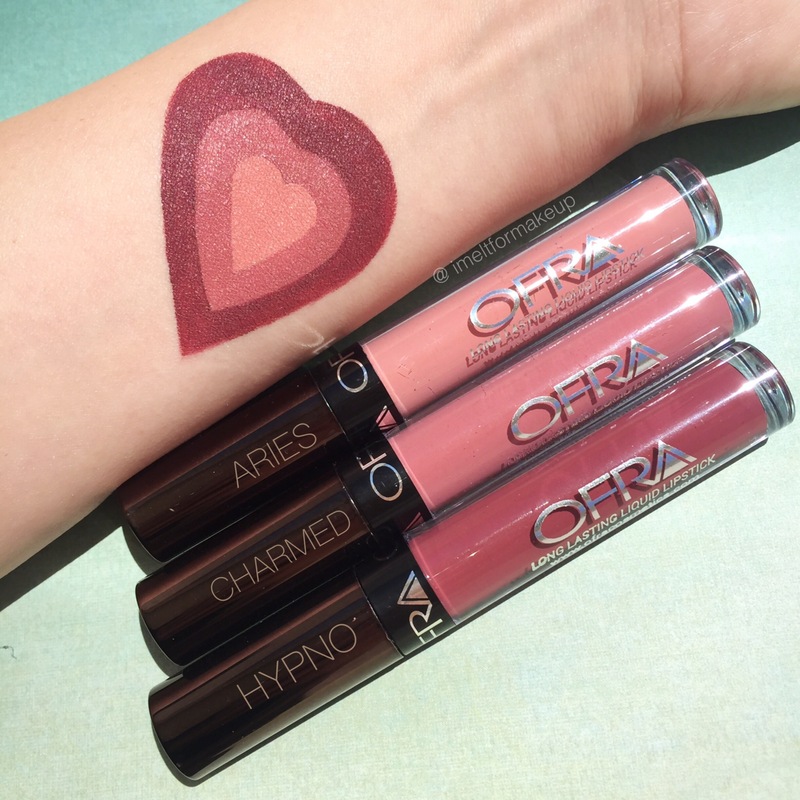 Purchasing from Ofra is always easy and shipping time is always decent. Just not a fan of shipping and handling of course, but their 30% coupons from influencers always makes that shipping cost pain-in-the-wallet-could-of-bought-other-makeup-thinking a little easier to bare. Peachy pink highlighter: doesn’t really highlight, seems like a matte eye shadow with sparkles and not as pigmented as the others. Pigmentation: Good pigmentation but swirling it with my brush gets the whole pan super powdery. Long-wear: Having a good base to stick it on is good, it is easily wiped off when I wanted to tone it down. Notes: Ofra showed that you can swirl them all together for a nice color, but when I do that lots of fall out from using my morphe brush M510. 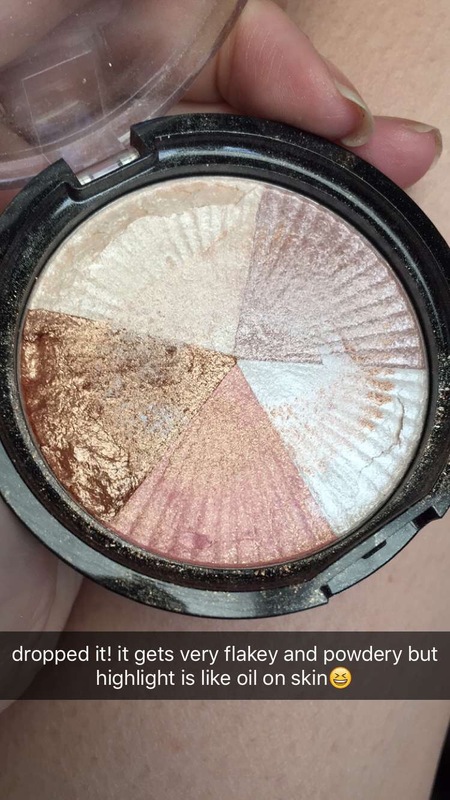 I think the pigment is not packed in the pan tight enough. I dropped it on the floor and it did crack off some of the color (see picture below). I wouldn’t repurchase because I could buy the Anatasia Beverly Hills glow kit for close to the same price but with bigger pans of product. 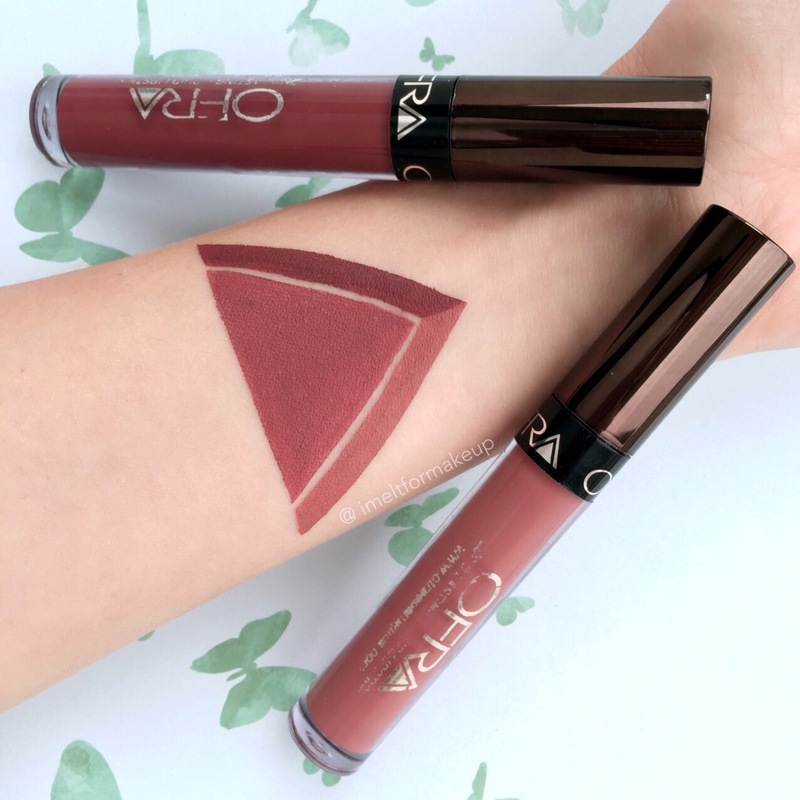 Ofra packaging seems pretty filmsy, and I am not a fan of the logo design. 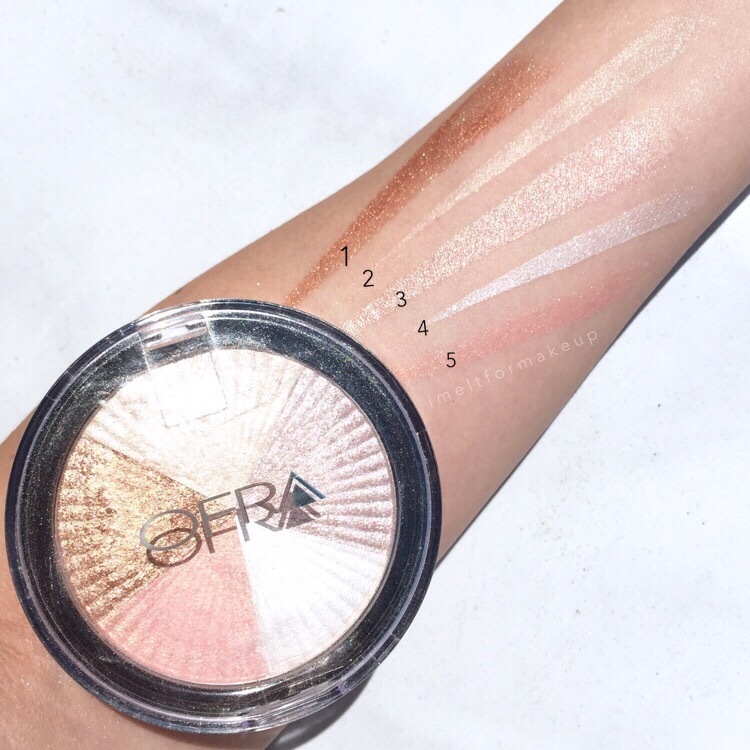 Ofra Beverly Hills Highlighter taken from my snapchat meltformakeup. 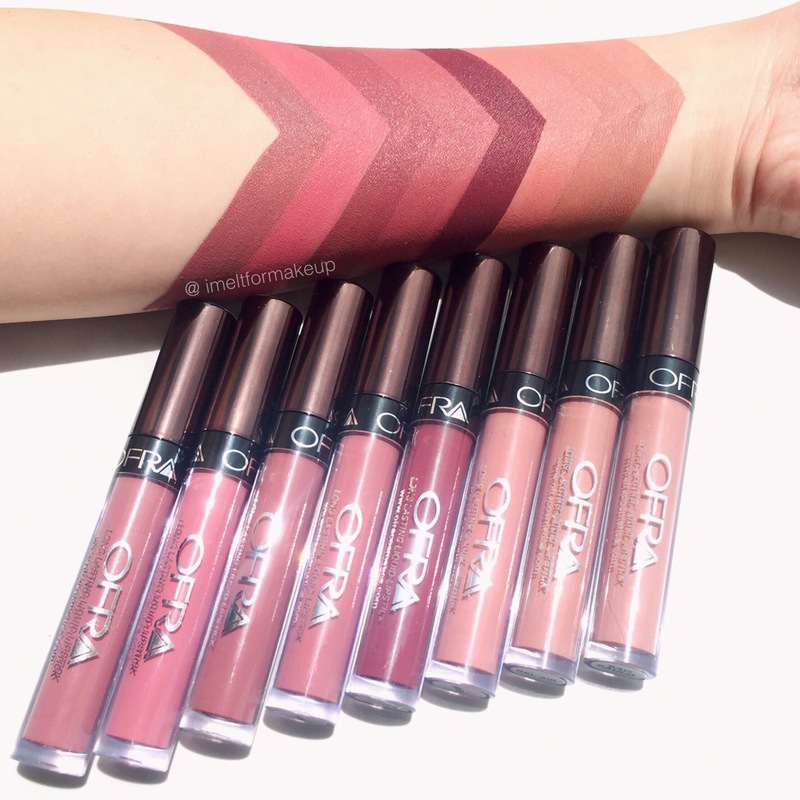 Mannymua X Ofra Liquid Lipsticks are Permanent! 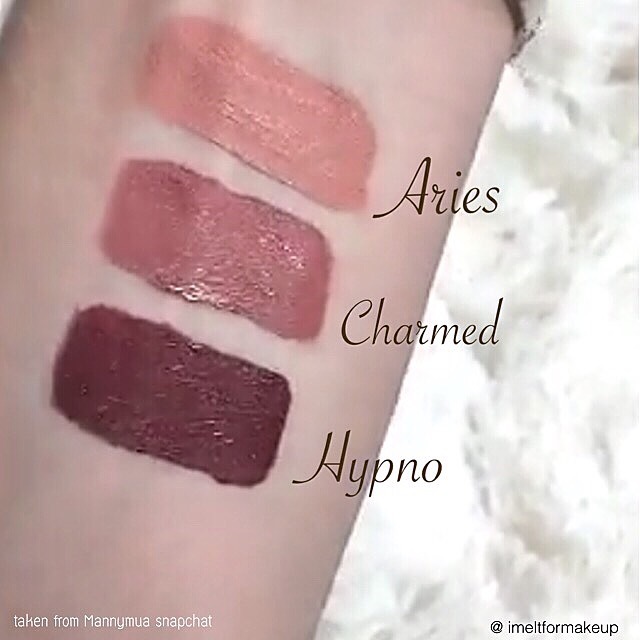 ofracosmetics.com 30% off mannymua on whole order. If Hypno & Charmed had a baby. My obession with liquid lipstick continues.. Once I get excited with formula, colors, and scent I want to get more!! I was pleasantly surprised with this formula, its not transfer-proof but nice and long wear. They cost $19.90 each but they always have 30% coupons running (coupon code: Mannymua). Per Mannymua they are made to order, and they were! The existing colors came in the newly designed bottles, making them feel more worth the price. 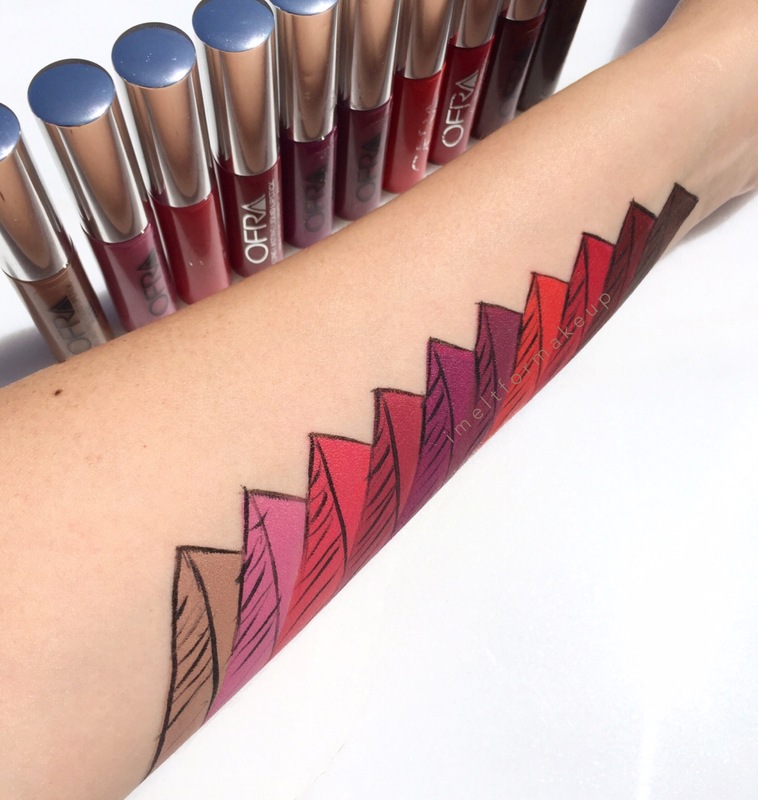 From all liquid lipsticks, I will be purchasing more for the kit. Because they are easy to remove, if the client didn’t like the color, its long wear, and doesn’t get darker when it dried to a more matte finish. They also do not stain the lips and make my lips peel. 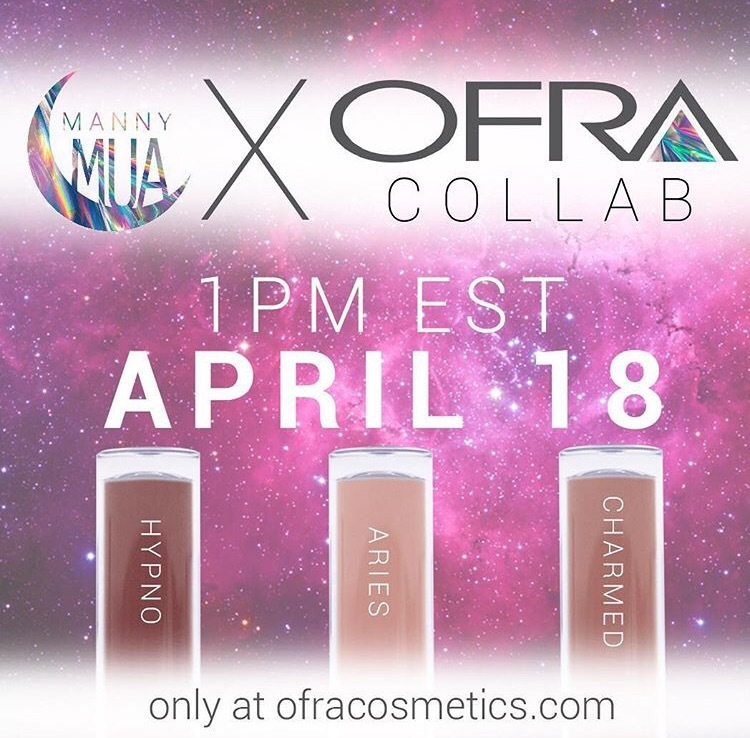 My very first order of @ofracosmetics x @mannymua733 Liquid lipsticks!! 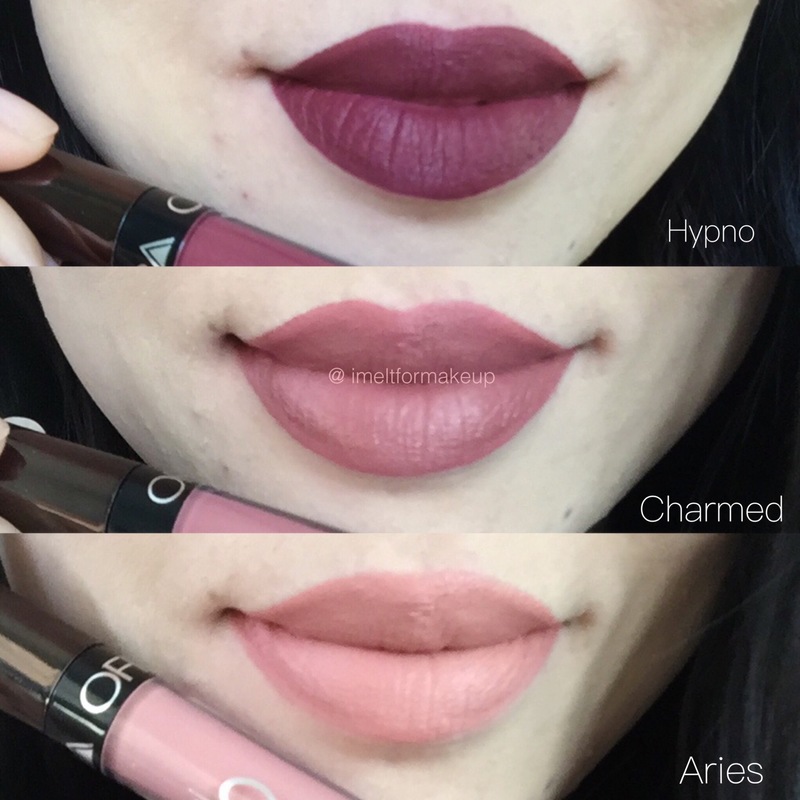 So far I am in love with Charmed, the color, super long wear, not getting darker with wear, no dried peeling lips during or after wear. Only thing is, it is no transferproof, it takes time to to set. Even though it would get on my cups and untensils, a lot of the product is still on my lips. Just easily smush your lips together to reapply.😋 The feeling of it is like Colourpop Satins (75%) blended with Colourpop Matte(25%).